The $500,000 Guaranteed @WSOP Circuit @Thunder_Valley $1,675 Main Event starts tomorrow with the first of two starting flights. Win your way in for just $250 in tonight's 6pm satellite where five Main Event seats are guaranteed. Start with 7,500 chips and play 30-minute levels in the satellite. Registration plus unlimited re-entries is available until the start of Level 7. 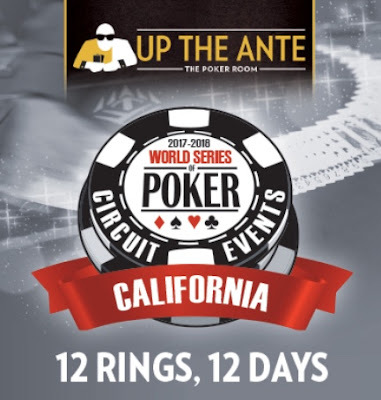 There's three more $250 Main Event satellites and 23 more seats guaranteed. The Last Chance Satelltie goes Saturday at 9am with 3 more seats guaranteed.